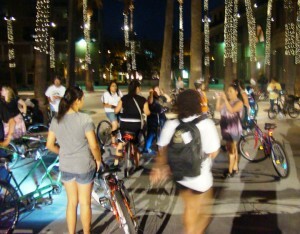 350 smiles took to the street last night for the Ladies Ride. In total, we rode 16.5 miles. Ladies @ SJFD Station #1! The ride started across the street from San Jose Fire Station No. 1. 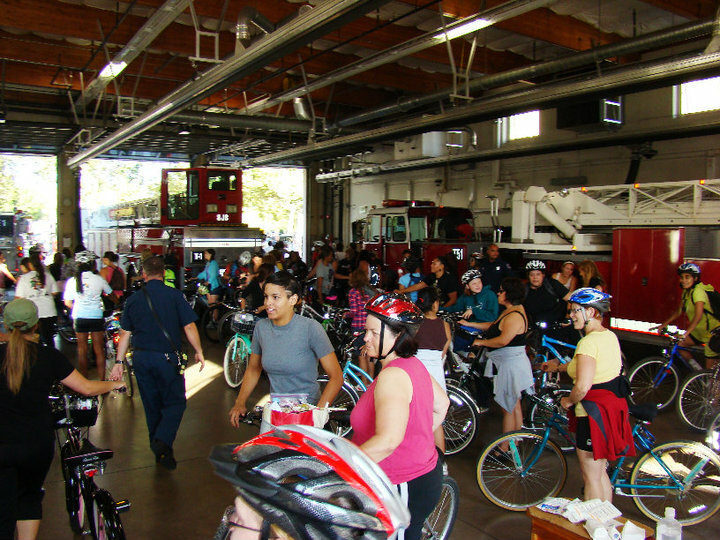 It was nice having an “open house” and it gave us a chance to interact with the Fire House before the ride started. The group moved quickly through downtown San Jose and found its way to DT Willow Glen. A regroup near Campbell kept the group together and in high spirits before riding through DT Campbell itself. 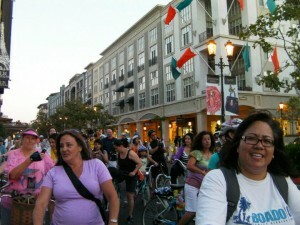 Following the second regroup, the ride rolled down Winchester and rode through Santana Row. 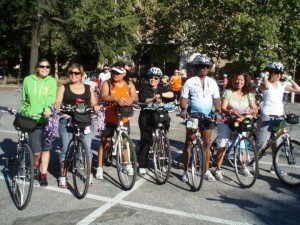 A final regroup brought the ride together before a stellar finish at Cesar Chavez Park. The success of last night’s ride had to do with the enthusiasm for the ride itself and the massive amount of dedicated planning. Thanks Katie! 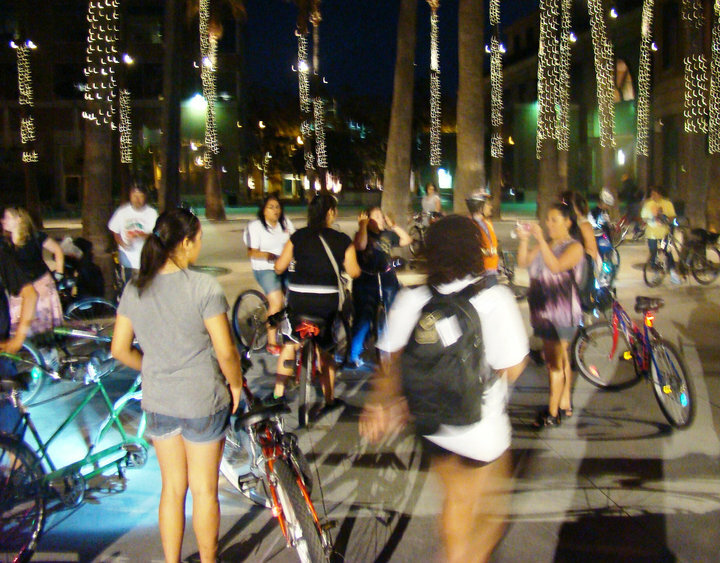 Thank you everyone for bringing out your friends to ride together on such a great weekend evening. BIRD volunteers were effective and support for the ride came in many forms. People were willing to help tune up bicycles, inflate tires, and stop along the ride to make sure people were OK. I heard several shouts of “are you OK?” to anyone stopped as the ride progressed. Posting volunteers at important corners to help direct traffic went smoothly Thank You BIRDS! 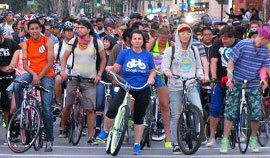 To anyone reading this: San Jose Bike Party hopes you had a good time last night. 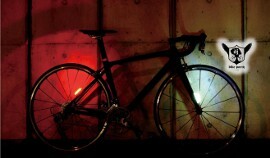 We hope that you found this experience worthwhile and will ride with us again.